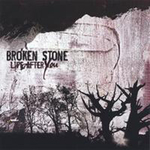 Sign up for Broadjam today to follow Broken Stone, and be notified when they upload new stuff or update their news! 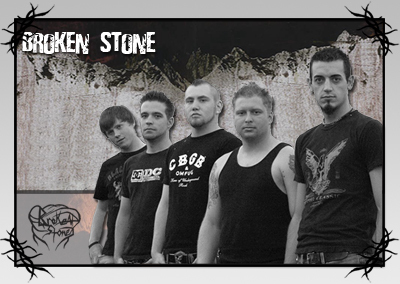 Broken Stone is known for combining hard-edged and flowing rock vocals, catchy choruses and melodic guitars with aggressive basslines. They've been compared to “Puddle of Mudd mixed with Rage” and bands such as Seether, Incubus, Stone Sour and Nickelback. Wasting no time, the band set all things aside in their lives shortly after their formation in mid 2004 to immerse themselves entirely in music. Living and operating under one roof quickly developed Broken Stone into a well-driven machine performing 100+ shows to date. Highlights include the 2005 Motor City Music Conference in Detroit, finalist in the 2005 Emergenza Festival in Indianapolis, and winner of the 2005 ISU Battle of the Bands in Terre Haute. The band's various styles and influences create an undeniable sound that still manages to maintain a strong commercial appeal. The band is currently bringing their large, high energy stage show to venues around the US in support of their debut full length album, “Life After You”.